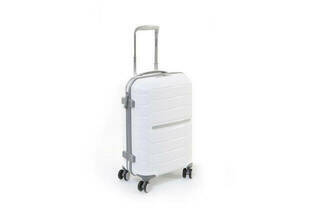 Snapshot: The Samsonite Octolite 55cm Spin Suitcase is a hard case with 4 swivel wheels. But how does it perform? Excellent performance in the lift and drop test. Easy to move and carry. Meets Air New Zealand carry-on baggage size. Doesn't meet Jetstar carry-on baggage size. Our overall assessment comprises 50% performance (lift/drop, puncture and rain testing) and 50% ease of use.